The Kenya School for Integrated Medicine offers an unique opportunity to study for a successful career in the Kenya healthcare system. It is the only school in the country and most of Africa that integrates the best of conventional medicine, including public health programs and human sciences with the best of alternative and complementary medicines that originate from Europe, North America and other countries. Integrated Medicine is the term used now throughout the world to describe the integration of the important aspects of conventional ‘western’ medicine with the best of alternative and complementary medicines, which includes traditional medicines in various countries. It is a reflection of the need to find a common language between various forms of healing that taken together can create the best outcomes for patients and for the training of medical practitioners from all backgrounds. Complementary and Alternative Medicine (CAM) describes more natural forms of medicine and healing methods that generally work with the body’s own natural defenses, as opposed to synthetic or extracted medicines or drugs that work on the body. Complementary and Alternative Medicine describes forms of medicine that can work alongside or instead of conventional medicine. It is an umbrella term to define many forms of medicine widely used in the world. Homeopathy is one form of Complementary and Alternative medicine. Others include Acupuncture, Ayurveda, Chiropractic, Herbalism, Massage and other body therapy techniques, Osteopathy, Psychotherapy etc. The Kenya School for Integrated Medicine is seeking to integrate the best of conventional and Complementary and Alternative systems (CAM) of healing. 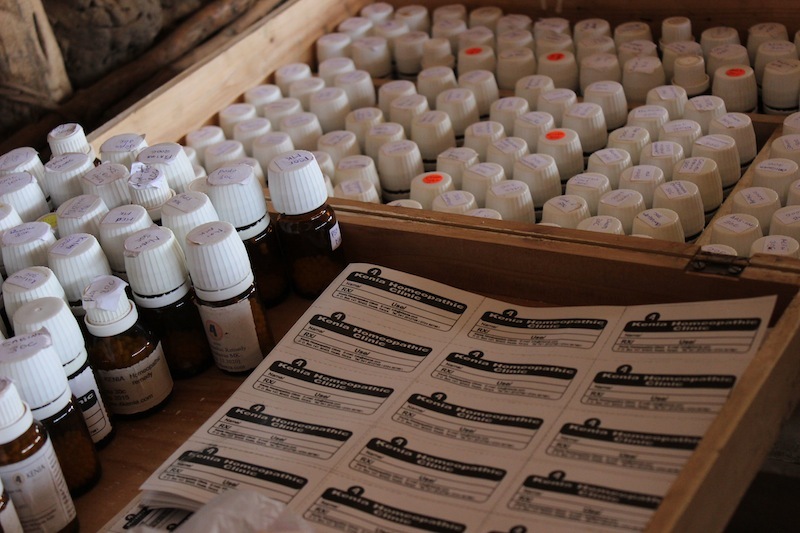 It is the only school in Kenya offering such a comprehensive course, its focus being on offering a professional training in homeopathic medicine as well as other medical trainings that are needed in the Kenyan healthcare system. The school recognizes the needs of patients to be treated holistically (treating the person as a whole), integrating mind and body to get to the root causes of sickness. With skills in different disciplines, graduates can offer patients a complete approach to healing. As Kenya seeks to explore the most effective, affordable and accessible forms of healthcare it is looking to incorporate the best of traditional and other Complementary and Alternative forms of medicine (CAM), as well as existing approaches. A new Health Bill in 2015 has sought to include and to regulate these traditional and CAM health modalities. Homeopathy is a system of medicine founded by the German physician called Samuel Hahnemann, who lived between 1755 and 1843. Homeopathy spread throughout the world in the nineteenth century and is now practiced on every continent and is the most popular form of alternative medicine in the world. It is integrated into the health systems of many countries, including the United Kingdom, France, India, Mexico, Brazil and Argentina and practiced widely by both physicians, other health professionals and by lay people in the home. What is unique about homeopathy is that it works with the body’s own healing powers. The body cures itself. Homeopathy activates the body’s own intelligence to increase its health. It works with each individual as a whole person, always looking at the real causes of illness, whether physical or psychological, and not only helps to cure illness itself but also to prevent further sickness. Homeopathy recognizes the relationship between mind and body. In order to help someone deeply, both the body and mind needs to be integrated. Cure takes place through the natural intelligence of the body/mind as a whole. That is why it is often described as a holistic medicine, which means that it is always the whole person that is treated, not just the disease. Symptoms as seen in disease only reflect an inbalance in the whole person, both mind and body. That is why it is sometimes said that homeopathy treats the person, not the disease. Homeopathy works according to a natural law called the Law of Similars or put another way, what can cause can cure. Symptoms that a substance can cause are the very same symptoms that it can cure, provided it is given in a specially prepared minimal (micro) dosage. An example would be when cutting an onion. Often one’s eyes and nose stream water and if sensitive it can also burn. Therefore, in homeopathy, an onion prepared as a homeopathic remedy is given to treat colds and coughs when the eyes and nose stream and burn. This principle of cure is also called Like Cures Like. The remedy is like a mirror to the disease and this reflection activates a reactive self-healing mechanism in the body. Whereas conventional drugs do the work for the body, homeopathic remedies make the body do the work itself. This is the same in all ‘natural’ medicine. It is working with the body’s own healing capacity or to put it another way, with the intelligence of nature itself.